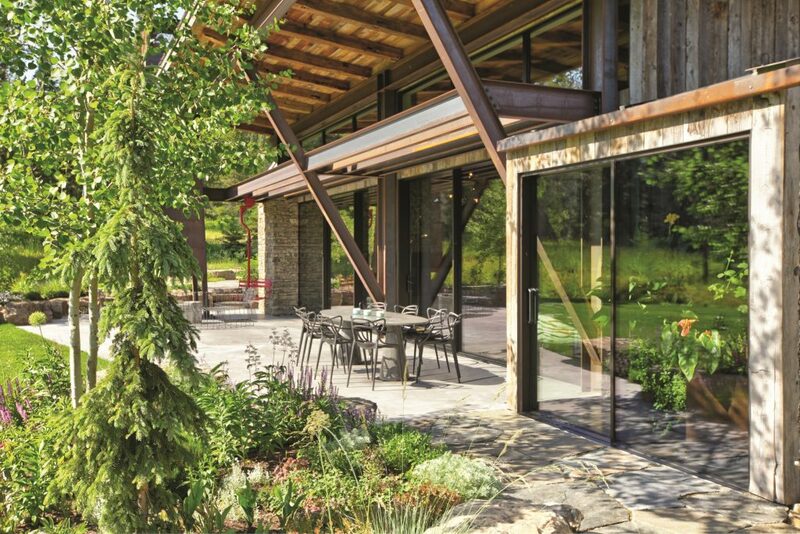 The Flying Star residence is a contemporary well-crafted dwelling that celebrates nature. 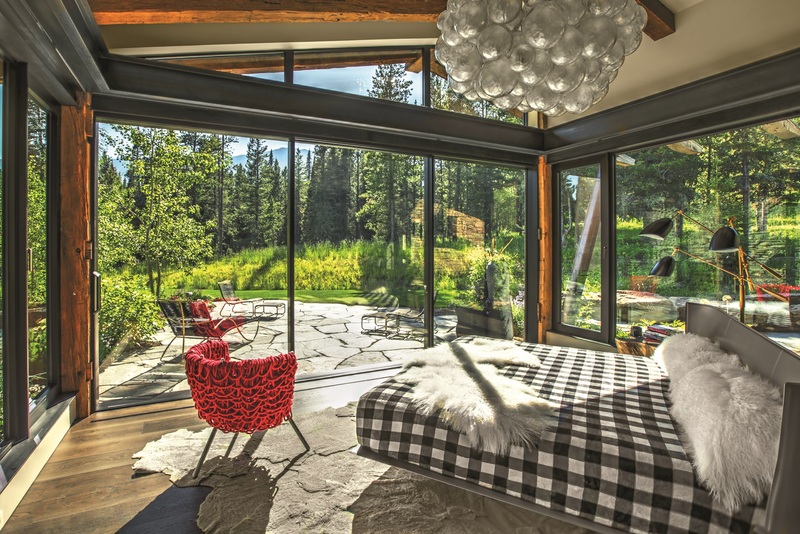 Located in Bridger Canyon, just outside of Bozeman, Montana, this three-bedroom home blends expansive window walls with huge timber ceiling beams to create a stunning mix of natural and minimalist European design . The 17-foot high south facing glass wall is a highlight of the property and features a pair of striking ultra slim sliding glass doors. 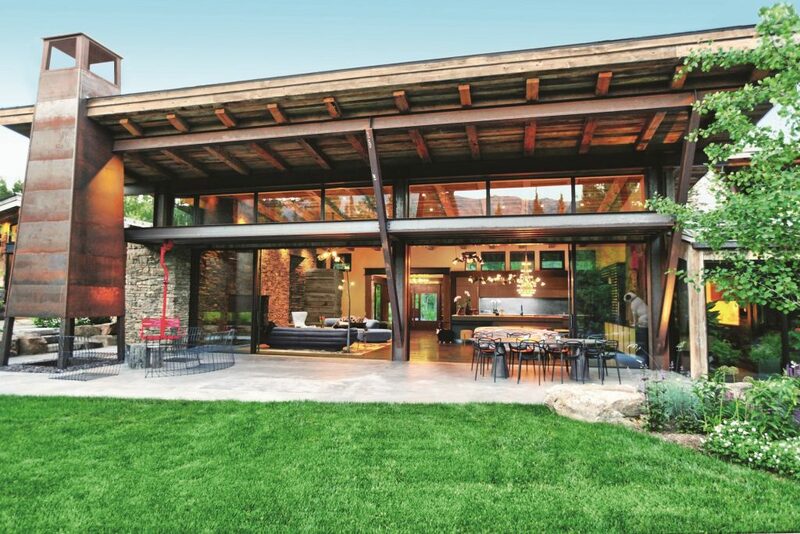 These elements boast six panels spanning over 40 feet capturing inspiring views throughout the main living area while physically connecting the interior of the home to the adjacent Bridger Mountains. “Reynaers Aluminium windows and doors are a major home feature, since glass makes up about 65 percent of the walls. The performance of the product has been exceptional through two snowy, cold winters and warm summers. Aesthetically, the windows’ thin sight lines adds to the views from every room. The operation of the Hi-Finity doors is awesome and the operable windows are nice for air circulation. I love our home. I would not change a thing. It is so comfortable and quiet. I feel like I’m out camping when I’m in the bedroom”, expressed the homeowner.